Stamford, Connecticut, U.S.A. - Bishop WEI Jingyi, the underground Roman Catholic Bishop of Qiqihar, Heilongjiang, was arrested September 9, 2002 by the Chinese authority. No other details are available. 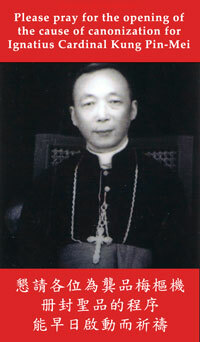 Bishop Wei was born May 1958, ordained a priest in 1985, and ordained a bishop in June 1995. He was detained in a Chinese labor camp from 1987-1989 and from 1990-1992. He was the secretary of the underground Roman Catholic Bishops Conference from 1993-1995. 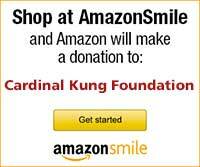 Joseph Kung, the president of the Cardinal Kung Foundation, said: "Currently, every one of the approximately 50 bishops of the underground Roman Catholic Church is either arrested, under house arrest, under strict surveillance, or in hiding. The persecution of the underground Roman Catholic Church is obviously getting worse. "